SACRAMENTO, Calif. (KGO) -- The U.S. Air Force Airman who helped thwart a train attack in France and was stabbed in Sacramento earlier this month has been released from UC Davis Medical Center. 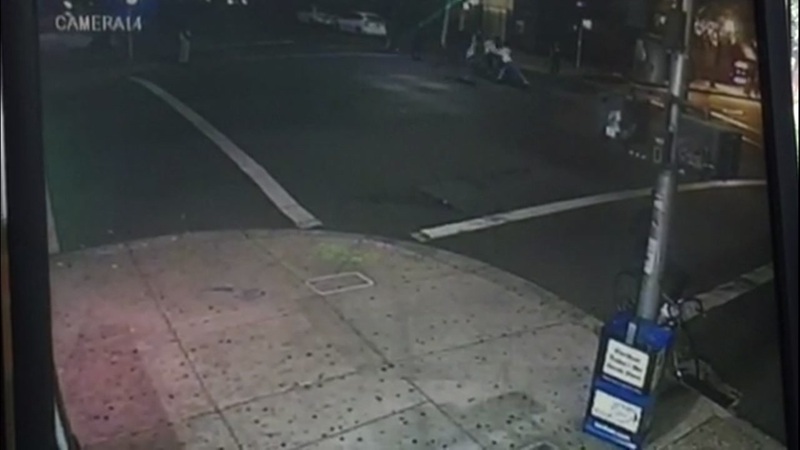 The 23-year-old was stabbed three times outside a bar in Sacramento. Police have released new photos of the suspected getaway car taken before the attack in the city's midtown area. In a statement released by the medical center Thursday, Spencer Stone's mother, Joyce Eskel, gave thanks on the family's behalf for the care team and those well-wishers who expressed concern and support for her son. "Our family wishes to express our deepest gratitude to the staff and providers at UC Davis Medical Center," she said. "I'm especially grateful to (trauma surgeons) Dr. Ellie Curtis, Dr. Garth Utter, the entire trauma team and the ICU nurses who treated Spencer so well. We've been overwhelmed by the support from our family and friends, the Sacramento area, the Air Force, and people around the world. Thank you all." Stone added, "Thanks very much to the first responders and the team here at UC Davis Medical Center for taking such good care of me. Thanks, also, to my amazing family and friends for their love and support. And, thanks to everyone who has sent encouragement during this challenging time. I'm focused now on healing and recovering and look forward to the next part of my journey." 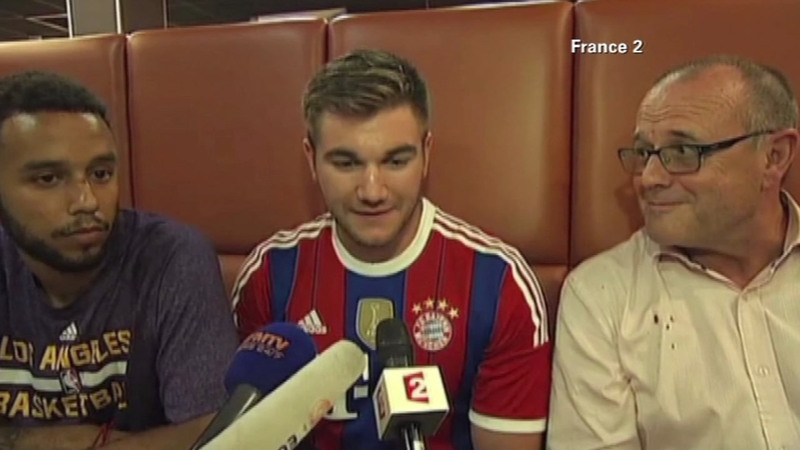 Police in Sacramento are searching for two people accused in the stabbing of French train hero Spencer Stone outside a bar early this morning. UC Davis Medical Center Chief Executive Officer Ann Madden Rice expressed her appreciation for the team that supported Stone's recovery. "I am thrilled that Airman Stone is doing well and proud that our level I trauma center was here to help," Rice said. 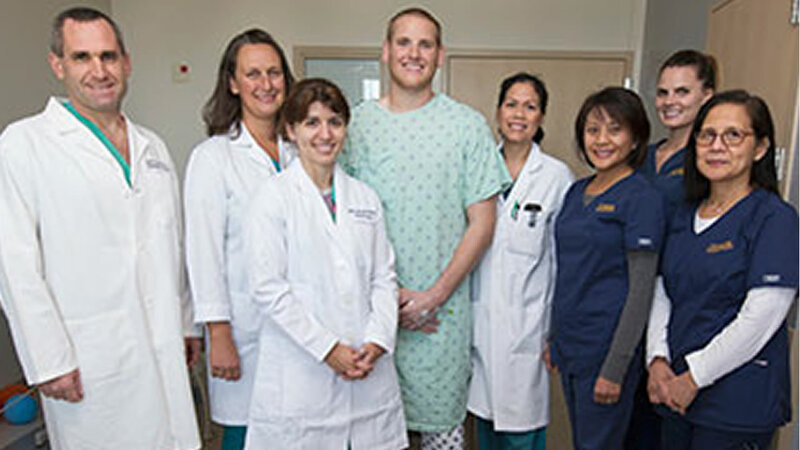 "All of us at UC Davis wish him well in his continued recuperation." No arrests have been made. Anyone with information is urged to contact police.